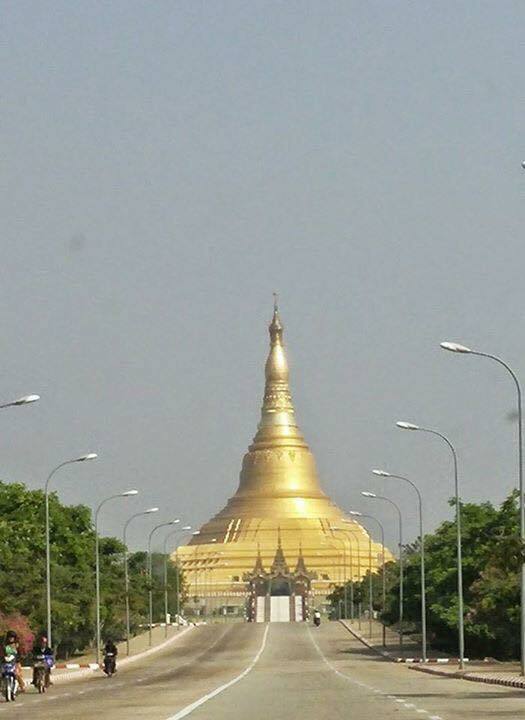 After a few trips to Yangon, one does start remembering different landmarks, certain roads, and specific high rise flats in Yangon. For some of our team that have been here many times, it starts to feel like a second home. 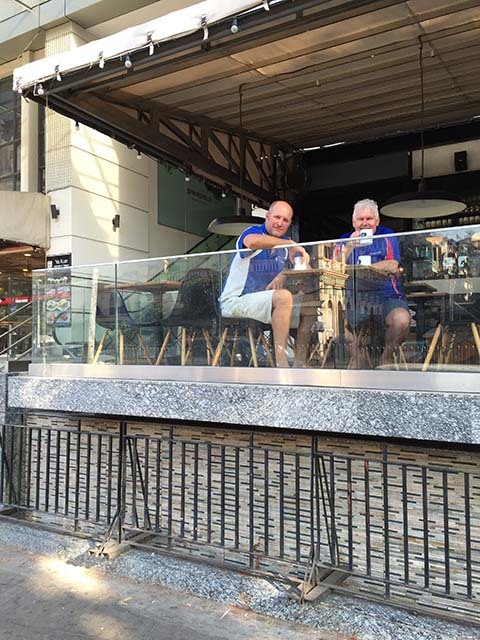 Project Coordinator, Chris Waite, agreed that this was his most visited city outside of his home city of Sydney. More likely, he admits he would get lost in Adelaide before he would get lost in Yangon! 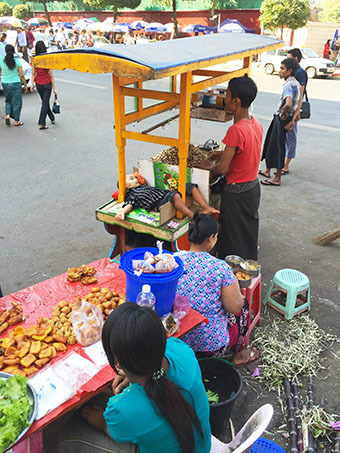 In truth, he’d probably get lost in Yangon, but maybe not as much. This trip is Chris’ 16th visit so he does know his way around the city. 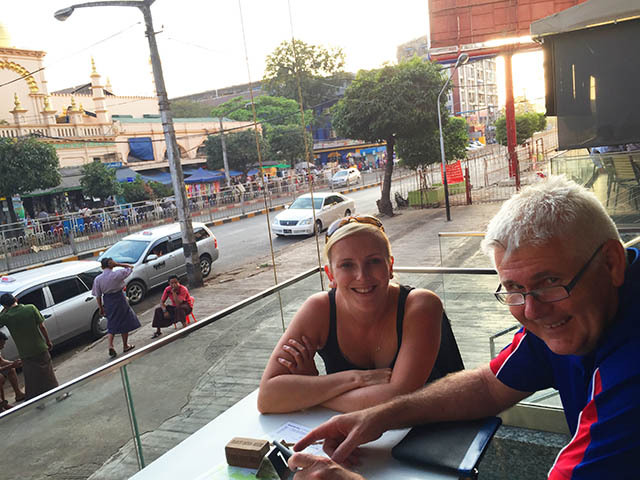 Regardless of where he is, he still manages to find his way to one of his favourite places, Yangon Cafe. It is where he seems to do his critical thinking and project planning. 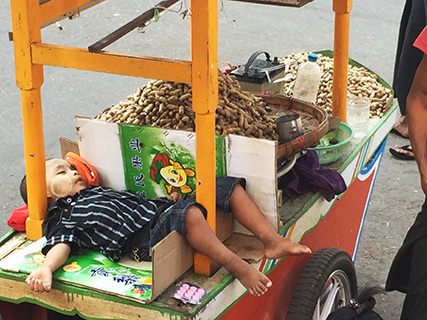 Across the road from this cafe, a street vendor’s daughter was having a sleep, despite the noise of the busy traffic, such is the way of life here in Yangon. 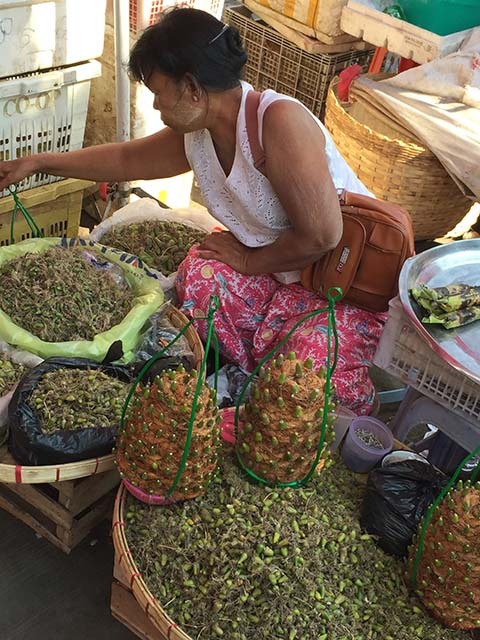 The Traders Hotel, where the Open Heart International team stays when in Yangon, has changed its name to the Sule Shangri-La. 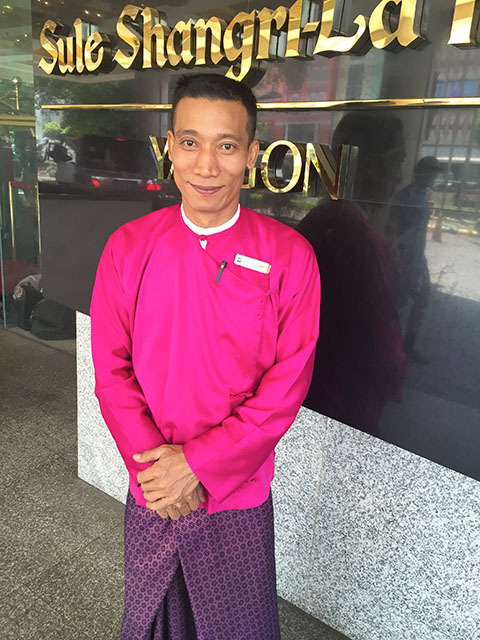 However the same, always busy, smiley, and enthusiastic Burmese hotel porter hasn’t changed. It’s friendly people like this that help make it a ‘home away from home’.